There is a fundamental and urgent need to re-evaluate the sanctions against Eritrea. An objective evaluation of the United Nations sanctions against Eritrea will inevitably lead to the conclusion that the sanctions are unjust, a detriment to the cause of peace in the region, and a wholly unwarranted burden on the people of Eritrea. THE United Nations sanctions against Eritrea are causing undue harm and hardship to the people of Eritrea. I plead the case to immediately end sanctions against Eritrea that are unjust and counter-productive to the cause of peace in the Horn of Africa. While United Nations sanctions are ostensibly sanctions against the government of Eritrea they are causing undue suffering and hardship to the great people of Eritrea. In my nonprofit work with a practicing Eritrean physician, it has become evident that the United Nations sanctions against Eritrea are creating a great barrier to access to essential medical supplies and equipment. The issue of United Nations sanctions against Eritrea has become a personal sorrow for me. Medical equipment and supplies that have kept me alive in my treatment of an aggressive cancer are being denied to the Eritrean people because of the burden of sanctions. While I am a U.S. citizen, the Eritrean people are my people by virtue of my birth in their country and the generous spirit with which they have welcomed me as one of their own. The thinly veiled agenda of those who use United Nations sanctions as a wedge to try to effect policy or regime change in Eritrea has become utterly transparent. When a member of the United Nation’s Somalia Eritrea Monitoring Group (SEMG) printed on United Nations letterhead a blatant agenda to destabilize the government of Eritrea, the United Nations response rightfully ought to have gone far beyond accepting the resignation of this individual. Printing a suggestion for regime change in Eritrea on United Nations letterhead, by a member of a supposedly independent monitoring group (https://tesfanews.net/tag/semg/), defies the foundational values of the United Nations. There is a fundamental and urgent need to re-evaluate the sanctions against Eritrea. An objective evaluation of the United Nations sanctions against Eritrea will inevitably lead to the conclusion that the sanctions are unjust, a detriment to the cause of peace in the region, and a wholly unwarranted burden on the people of Eritrea. That the United Nations sanctions against Eritrea are unjust should now be abundantly clear. The case for sanctions against Eritrea simply do not meet the United Nations standard of “verified information and documents” to substantiate allegations. In light of the blatant misrepresentation of facts, the United Nations sanctions are not only unjust but shameful. As a strong supporter of the United Nations charter and mission, I am utterly disheartened that the agenda of a few individuals and power brokers who harbor ill-will against Eritrea is allowed to preempt the high standards that ought to characterize any action by the United Nations. By continuing sanctions against Eritrea, the United Nations misses an historic opportunity to promote peace in an unstable region of Africa. Eritrea has been a vocal advocate for peace processes in the Horn of Africa. They have expressed their “determined” will to support peace initiatives in the region and followed their words with actions. 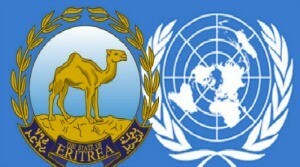 The United Nations would do well to recognize that Eritrea is a stabilizing force in an unstable region. It is in keeping with the United Nations mission “to unite our strength to maintain international peace and security” to support Eritrea as a regional force for peace rather than constructing obstacles to their meaningful participation in peace initiatives. Eritrea is not without its faults in terms of actions and policies. No country is. But, it is the dawning of a new and positive chapter in the history of Eritrea. The writing of a new chapter in Eritrean history ought to be celebrated and supported in the United Nations. The United Nations would do well to follow the lead of multiple member nations that are opening diplomatic missions in Eritrea and exploring avenues for mutually respectful collaboration. Eritrea is stepping into full participation with nations that are seeking peace and stability and supporting the United Nations mission to “end the scourge of war for future generations.” Last month, Eritrea joined in support of the United Nations Conventions against Torture (CAN). The country of Eritrea is focusing on improving life for ordinary Eritreans as evidenced by significant progress made toward United Nations Millennium Development Goals (MDGs) and Eritrea’s support for meaningful efforts to end human trafficking in the region. It is now time for productive dialogue with the Eritrean government rather than oppressive sanctions against the people of Eritrea. The statement made by Your Excellency in Libya that “all problems can be resolved through dialogue” applies equally to the country of Eritrea. There is no alternative to dialogue in regard to Eritrea. Sanctions are no longer a meaningful option or alternative to respectful engagement with the government of Eritrea. I share my thoughts as a global citizen who deeply respects the work of the United Nations and cares unequivocally for the people of Eritrea. I engage with Eritreans, both in their country and around the world, and affirm that their self-identification of “Eritrea as a peaceful country” is not simply a cliché, but represents the heart of this people and nation. For more than three decades, I have been engaged in supporting peace-making efforts at the family, community, national and international level. As long as I have voice, I will be a voice for peace and the peaceful resolution of conflicts. I turn my voice for peace to the United Nations making a passionate and reasoned plea for the immediate lifting of sanctions against the people of Eritrea. The immediate lifting of sanctions against Eritrea would be a courageous and compassionate action that supports justice, peace and conflict transformation. As Your Excellency also stated in Tripoli on Oct. 11, 2014, “the pathway of peace-building is always difficult.” No matter how challenging that pathway, let us follow the pathway of peace-building and embrace Eritrea as it steps more fully into the global community.